REVIEW of James Lehman’s Total Transformation Disc 1 "Why Does My Child Act This Way?" One of the things that is plain to see early in the program is that it is easy to listen to. Not only is it in simple English but it’s on a CD and can be listened to in the car or on an ipod. If you are going to hone your skills as a parent, you must do so privately. Children are smart enough to figure out what you’re doing which can give them power to thwart your efforts. So, the format of this program is a winner from the start. A basic element in counseling is the observation of behavior. What is going on within the family or relationship that is causing the conflict? Counselors must answer this question if they are to help their clients.The first audio CD is entitled, “Why Does My Child Act This Way?” It does a superb job of helping parents identify the “why?” of negative behavior in their children. Too many parents ask, “What do I need to do?” without realizing that they need to stop looking inward for answers and simply work to understand their child. This disc helps with that. I know that the actions of children, and especially teens, can be mind-boggling but they don’t have to be. When a parent can understand his or her child’s rude and disrespectful behavior, the frustrations will lessen as understanding and pro-active parenting are able to take over. Disc one in the program explains behavior and begins the first step in empowering parents with the knowledge they need to constructively mold their children. Call 1-866-798-5608 or visit The Total Transformation for a FREE OFFER where you can receive your money back on the purchase price of the Total Transformation. Click here to read my other Total Transformation reviews. 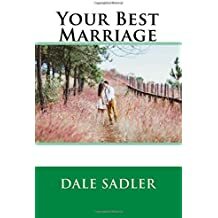 Dale Sadler is an affiliate of Legacy Publishing Company. Previous Article "Just A Moment"
Dave, it was great to read a review from someone who is really qualified to give one on a topic such as this. Thanks a bunch for your thoughts.